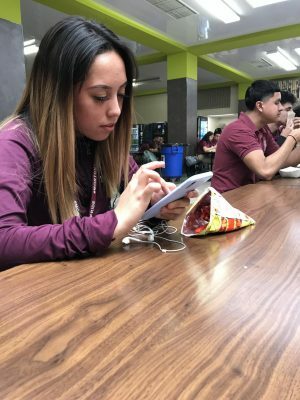 CHIPS AND FACEBOOK…senior Student April Medina being on their phone during her lunchtime… In a survey, 82% of high school students use phones during lunch. 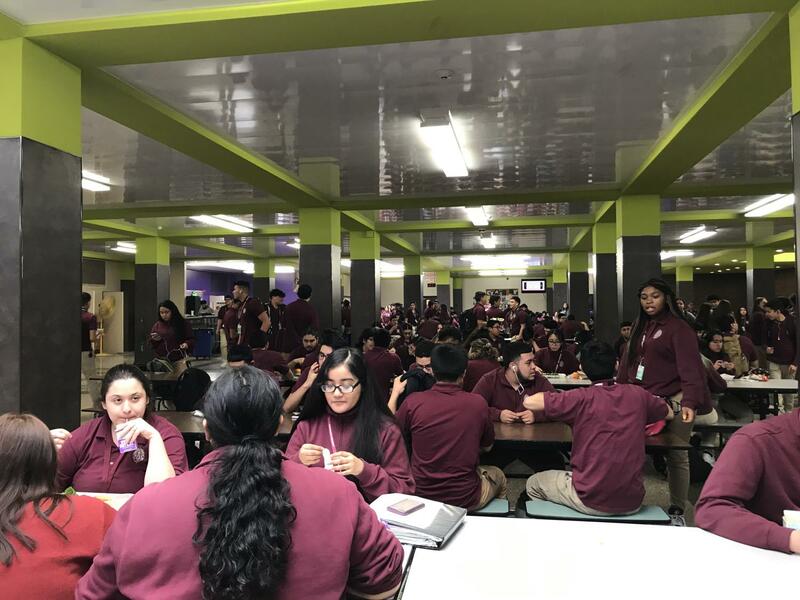 There are always some students who don’t eat lunch, but they are always on their phones. They use that time as free time. Some play games, text, or watch videos or movies. 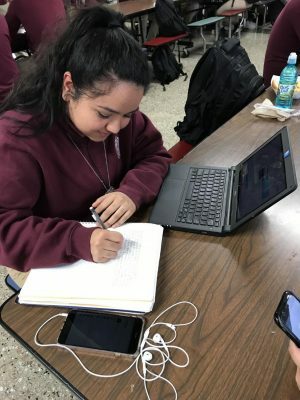 Others use phones to work on school work or take online quiz/tests. 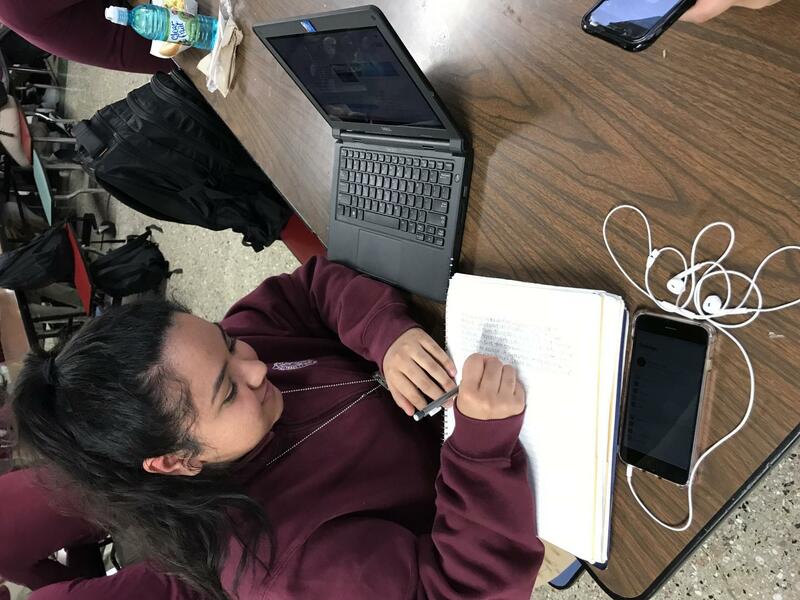 STUDENTS WORKING ON ASSIGNMENTS … Senior Student Dianesa Solis is working on her homework during lunch. 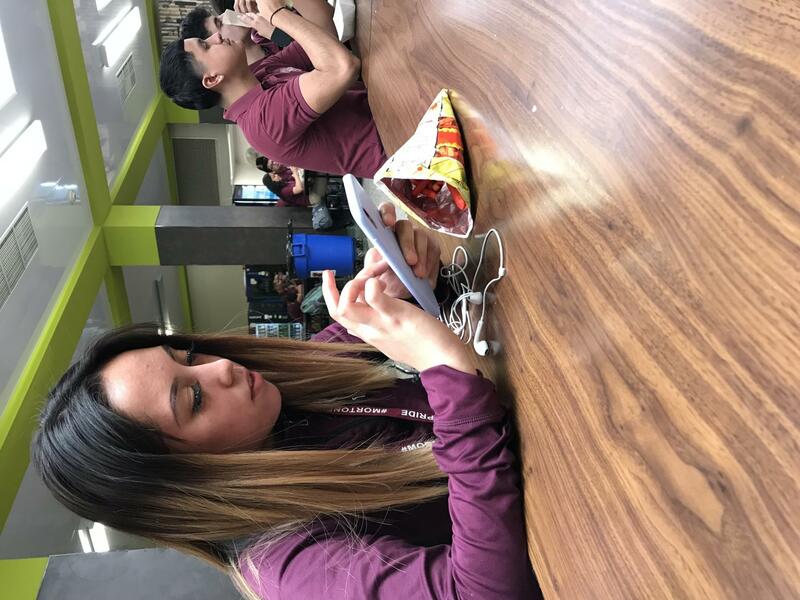 There some student that like to work on class work or homework during lunch time. Sometimes they don’t have time to do it at home. I enjoy having time to do my work at school because I am active in sports and do not want to come home to a plate full of homework. The reason why kids are stressed is because of the amount of homework each teacher gives every night. 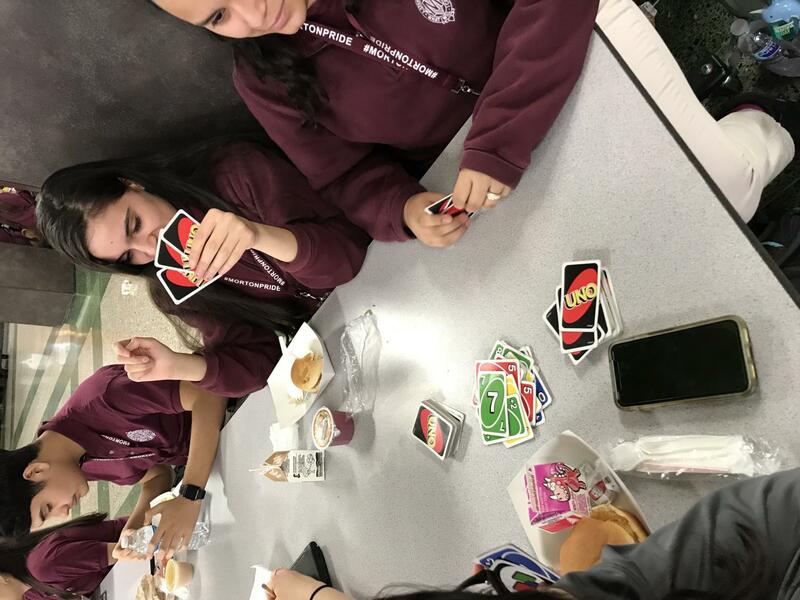 STUDENTS PLAYING GAMES… There is always that one friend who always comes in handy and brings UNO cards or any other type of game to the group of girls decide to play during their lunch period. You could never go wrong playing a quick game with your friends. 43% of students per-for playing games to leave stress from school work. 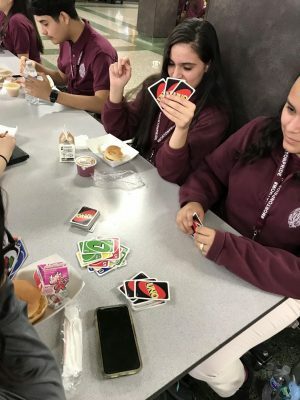 Sometimes students don’t eat school lunch to do other activities. CAFETERIA…This is the Cafeteria room where kids feel free to do anything. 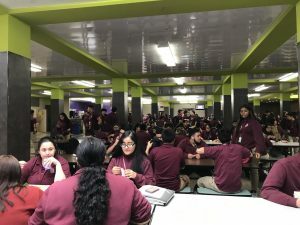 On lunchtime students like to talk with their friends, eat, study and be on social medal. 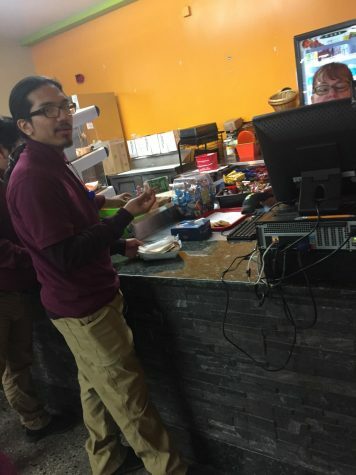 PEOPLE GETTING THEIR LUNCH…When it comes to lunch there are many things students could possibly do but most importantly students go to eat. 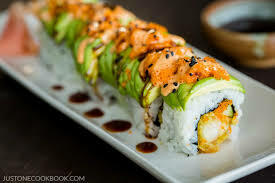 You can’t forget to have your lunch. 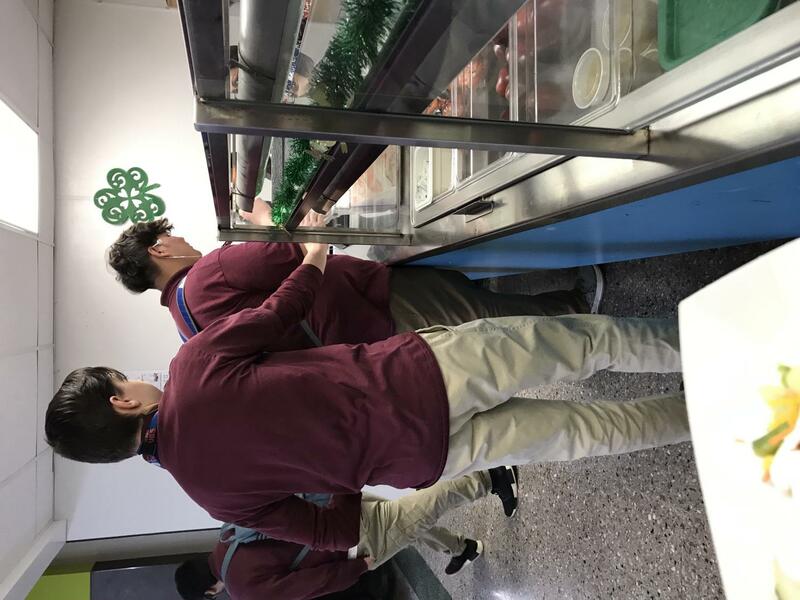 When you first walk in, the first thing you will always notice is the kids lining up for their food there’s always the long lines. 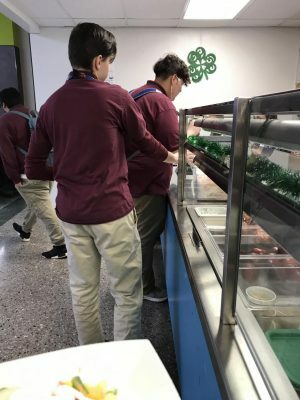 45% of students will pay for full price and 71% certified for a reduced -price meal.